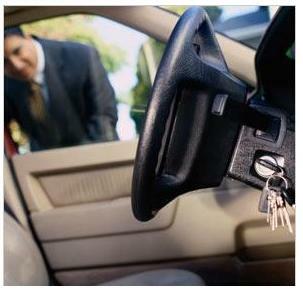 Eastern Shore MD Locksmith services for your automobile include prompt and courteous lockout services. We have offered car opening services for over 21 years and are familiar with every make and model of vehicle produced. Our damage free opening techniques prevent costly damage when called to unlock cars. Additionally, we are familiar with and able to provide car opening services in cooperation with all the major insurance providers, including AAA, GEICO, Cross Country, Allstate, State Farm, Progressive and many other insurers. Car lockouts are handled with efficiency and professionalism. Additionally, our experienced locksmiths are well equipped, allowing us to often produce a duplicate key for you to avoid auto lockouts in the future. Car opening calls for service are given priority in our work schedule whenever possible. Automotive locksmith services include key duplication and replacement of lost automotive keys. We can provide on site duplication and programming of modern transponder keys, as well as proper programming of vehicle immobilizer systems to delete lost keys and add new transponder keys to your vehicle. Our experience with all makes and models of vehicles allow us to provide efficient on site replacement of lost transponder keys. These newer, higher security electronic keys are often quite expensive at your dealership. We provide duplication of transponder keys as well as automotive transponder key replacement on site, at your vehicle. Our services are often provided at less cost to you than the cost of towing your vehicle to the closest dealership capable of performing lost key replacement for you. We replace VATS keys, PATS keys, older model keys, early model keys, late model keys and new vehicle keys. We are capable of fitting keys to your vehicle which may be long out of production and very difficult to find appropriate key blanks for. Our extensive auto locksmith experience and auto electronics knowledge make us auto locksmith specialists during a time when capable auto locksmiths are hard to find. Church Hill, MD Volunteer Fire Dept.